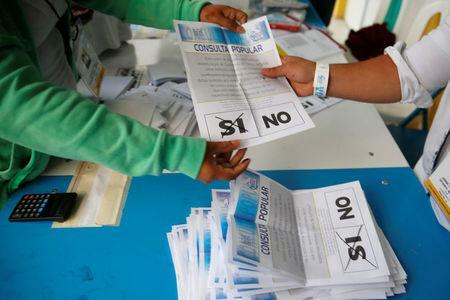 GUATEMALA CITY (Reuters) - Guatemalans on Sunday voted to ask the top United Nations court to resolve its claim that it owns half the territory of its neighbor Belize, a dispute that dates back to Spanish and British colonial rule of the region. 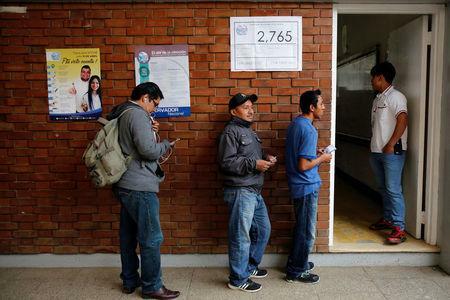 With more than 90 percent of votes counted on Sunday evening, the overwhelming majority voted to ask the International Court of Justice (ICJ), based in The Hague, to intervene. Guatemala recognized the independence of Belize at the beginning of the 1990s, but it never accepted the borders and continues to stake a claim to about 11,000 square kilometers, half the territory of the former British colony. In December 2008, both countries signed a deal that its inhabitants could vote to decide whether the territorial claim, which includes various islands, should be decided by the ICJ. 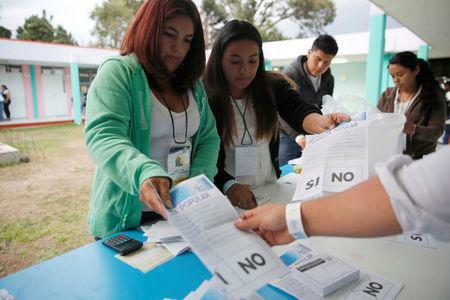 English-speaking Belize, which became independent in 1981, still hasn't set a date for its referendum. The border conflict between the two countries dates back to the 18th century.